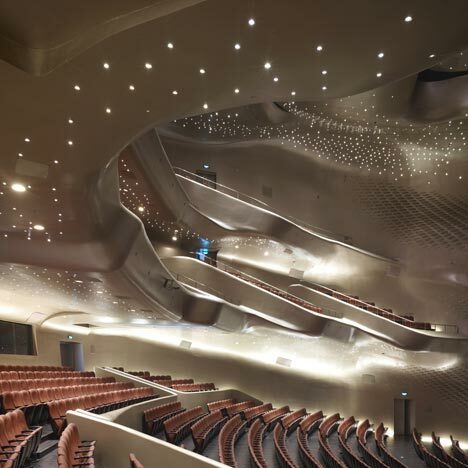 Tiromancino: Guangzhou Opera House. 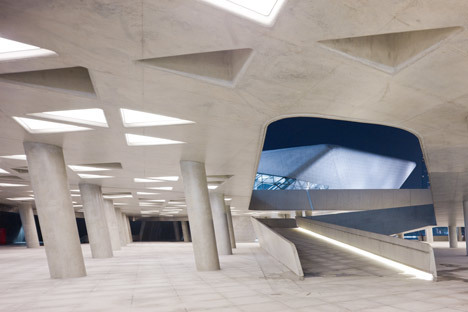 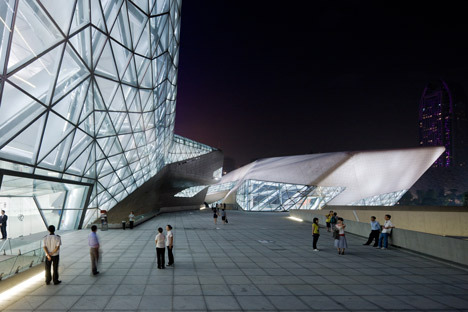 Zaha Hadid Architects. 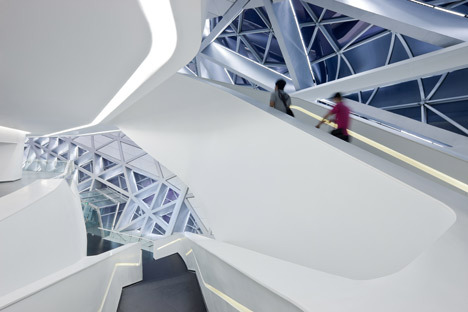 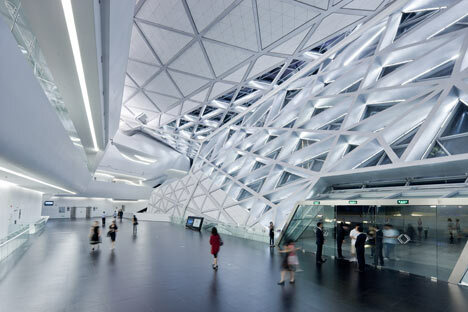 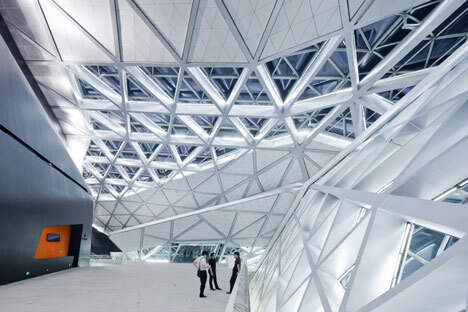 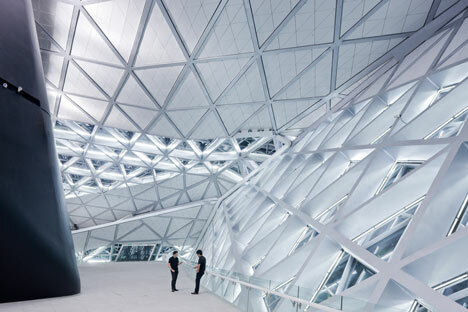 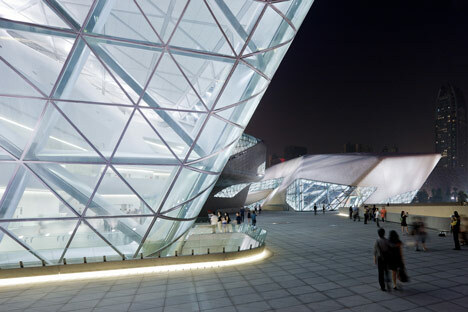 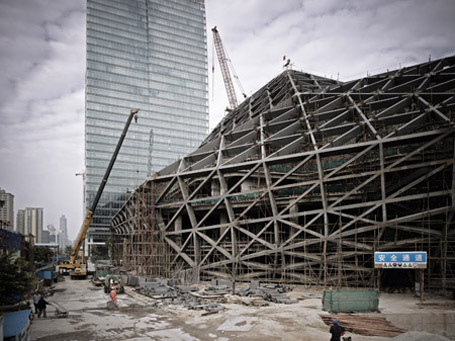 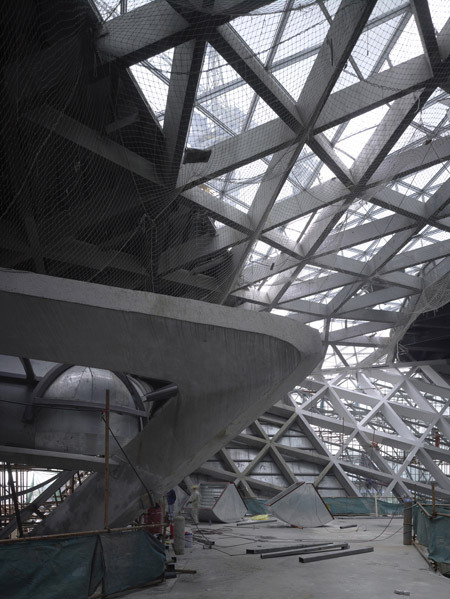 The Guangzhou Opera House by Zaha Hadid Architects is located in Guangdong Province, China. 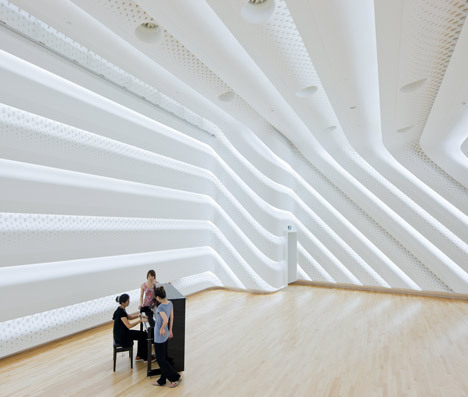 Designed to look like two stones on the bank of Pearl River, the building houses an auditorium of 1,800 seats for 400 people multifunctional rooms, rehearsal rooms and lobby. 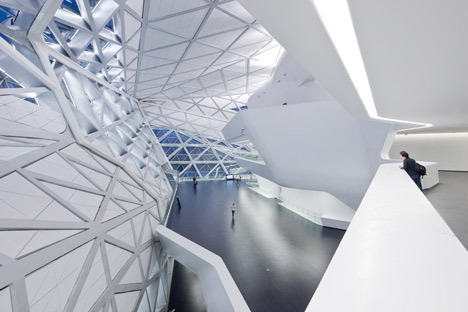 Like pebbles in a stream smoothed by erosion, the Guangzhou Opera House is in perfect harmony with its riverside location. 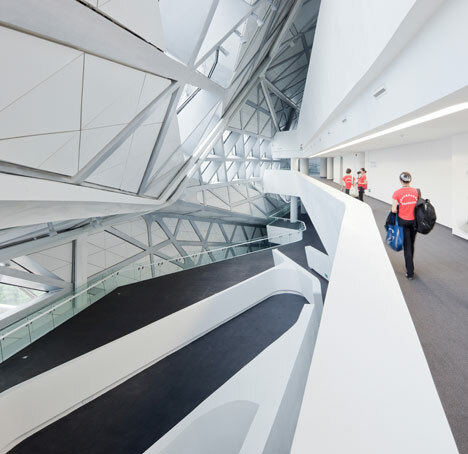 Fold the lines in this landscape define territories and areas within the Opera House, the dramatic cut inside and exterior cannons for the movement, hallways and cafeterias, and allowing daylight to penetrate deep into the building. 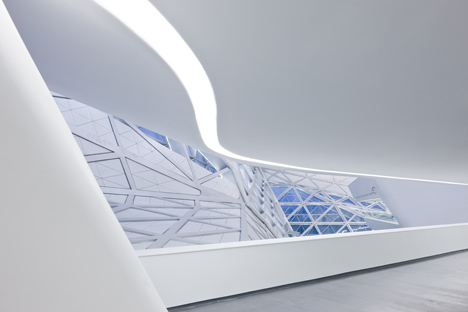 Smooth transitions between disparate items of different levels to continue this analogy landscape. 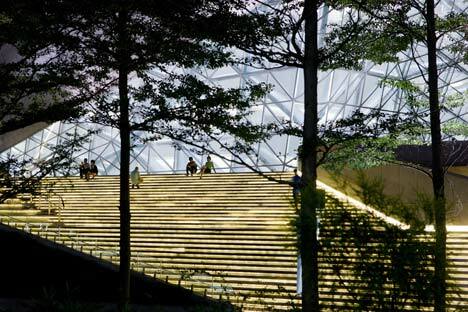 The design evolved from the concepts of natural scenery and the fascinating interaction between architecture and nature, committed to the principles of erosion, geology and topography. 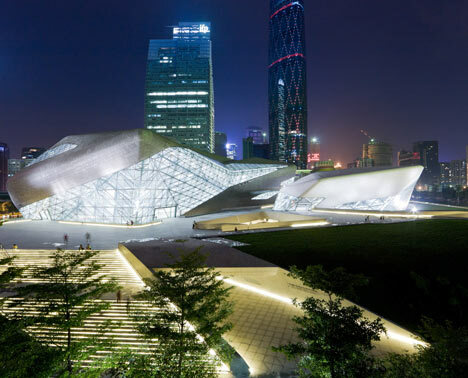 The design of Guangzhou Opera House has been particularly influenced by river valleys - and the way they are transformed by erosion. 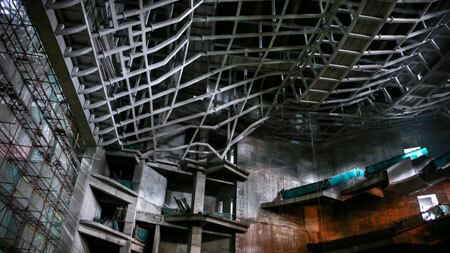 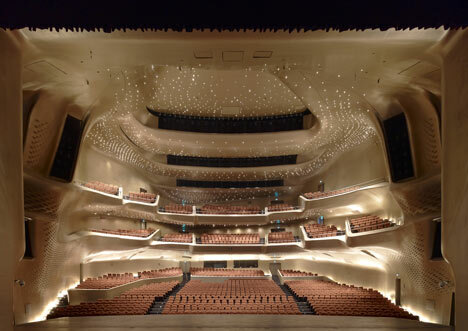 The main auditorium is lined with molded panels made of plaster reinforced with fiberglass to create a folded, flowing from the surface. 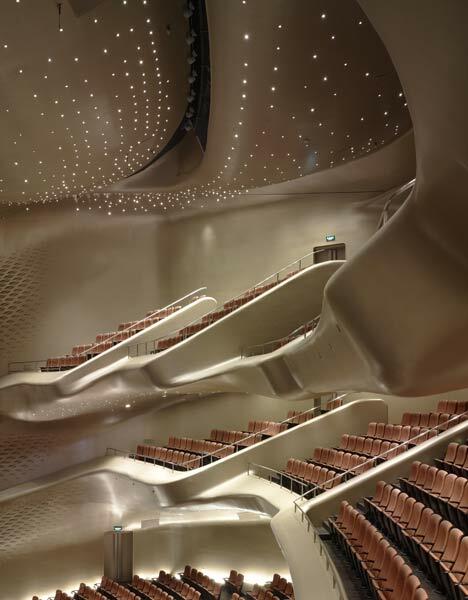 The 1,800-seat auditorium of the Opera House houses the most advanced acoustic technology and the smaller function room with capacity for 400 is designed for performance art, opera and concerts in the round. 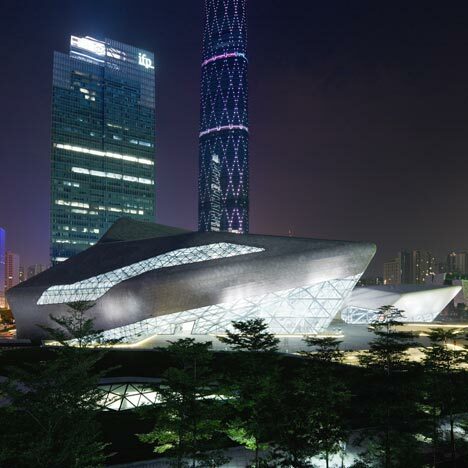 The Opera House is located in the heart of the cultural development of Guangzhou. 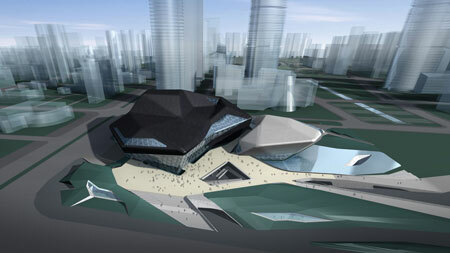 The unique design of double boulder improving the city with the opening of the Pearl River, unifying cultural buildings adjacent to the towers of international finance in the city of Guangzhou Zhujiang new. 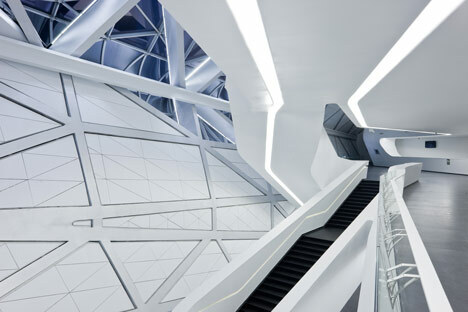 Custom molded fiberglass reinforced gypsum (GFRC) units have been used for the interior of the room to continue the architectural language of fluidity and continuity. 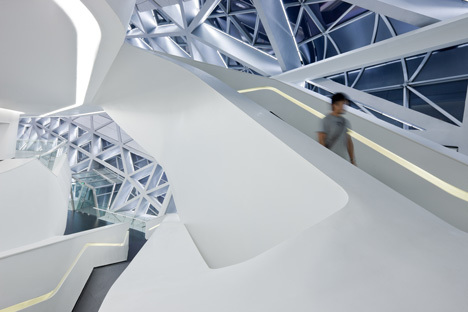 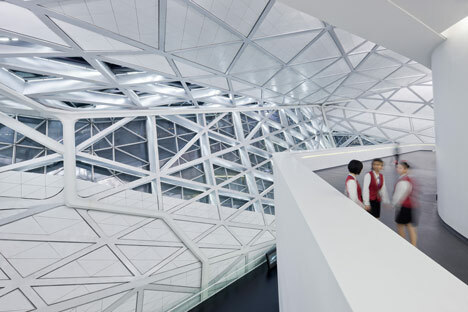 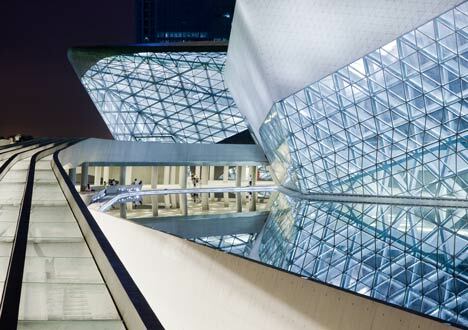 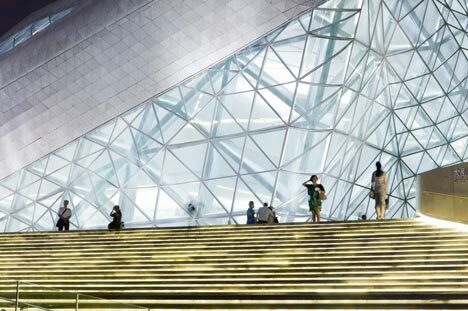 The Guangzhou Opera House has been the catalyst for the development of cultural facilities in the city, including the new museums, libraries and archives. 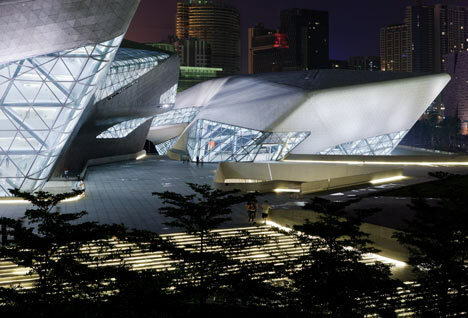 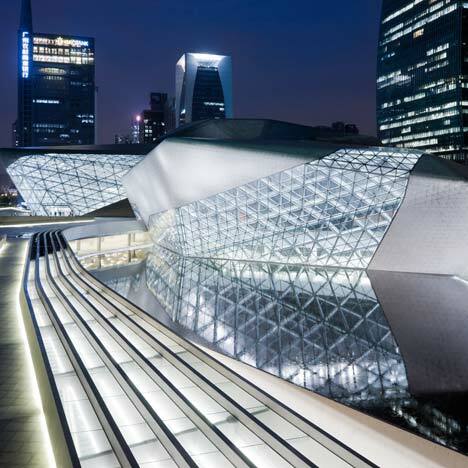 The design of the Opera is the latest embodiment of the exploration of Zaha Hadid Architects' unique context of urban relationships, which combines the cultural traditions that have marked the history of Guangzhou, with the ambition and optimism that will create your future. 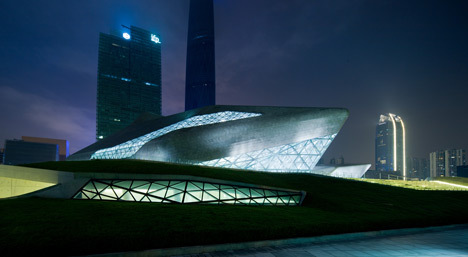 Client: Guangzhou Municipal Government . 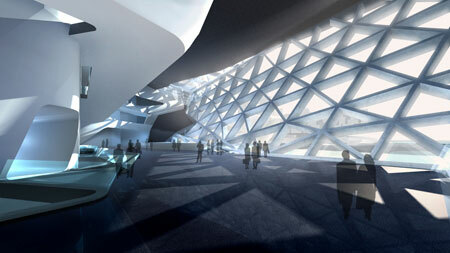 Service creation: Guangzhou Pearl River Foreign Investment Architectural Designing Institute (Guangzhou, China) .